When United Stated of America launched it’s first spacecraft (Explorer 1) to space, the Geiger counter was registering high radiation levels above Earth’s atmosphere, it’s the Van Allen Radiation Belt. 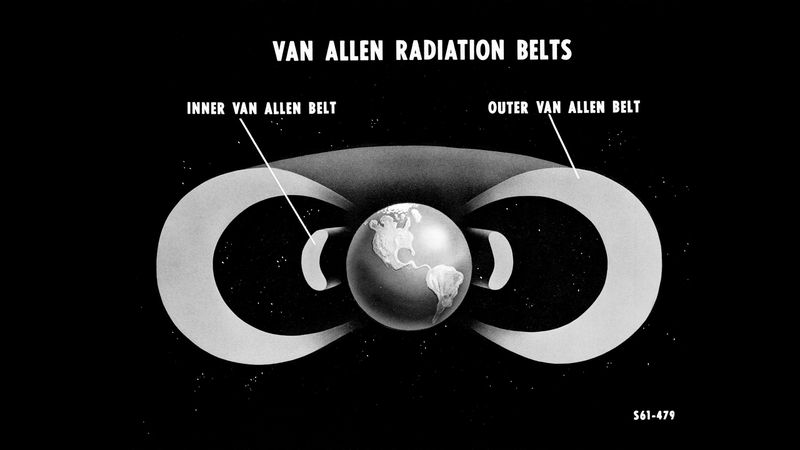 The Van Allen belts are a collection of charged particles, gathered in place by Earth’s magnetic field. The inner belt, composed predominantly of protons, and the outer belt, mostly electrons, They are sometimes swell up enough to expose satellites in low-Earth orbit to damaging radiation. They are named the Van Allen Belts, after James Van Allen, the scientist who led the charge designing the instruments and studying the radiation data.